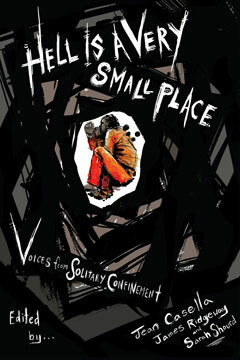 These firsthand accounts are supplemented by the writing of noted experts exploring the psychological, legal, ethical, and political dimensions of solitary confinement and a comprehensive introduction by Solitary Watch co-founders James Ridgeway and Jean Casella. Sarah Shourd, herself a survivor of more than a year of solitary confinement, writes eloquently in a preface about an experience that changed her life. Stephen Lurie reviews Hell Is a Very Small Place in The Los Angeles Review of Books. Sarah Shourd, a journalist and playwright, was held as a political hostage by the Iranian government, including 410 days in solitary, an experience she chronicled in A Sliver of Light: Three Americans Imprisoned in Iran.